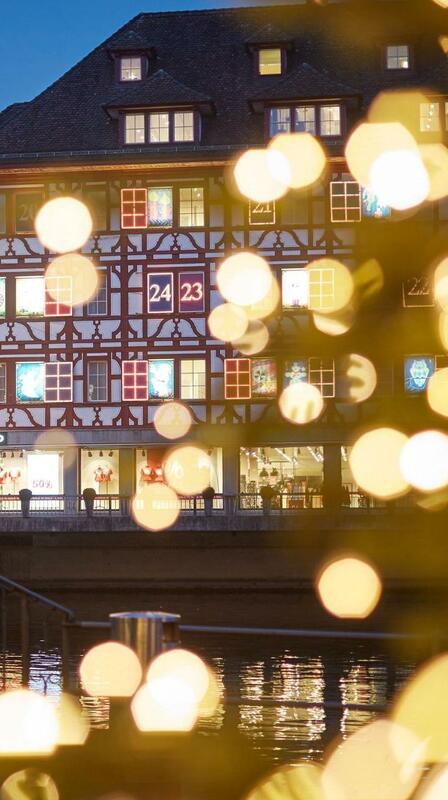 Lucerne during the Christmas season becomes a contemplative city of lights, while its enchanting Christmas markets are brimful with handmade gift ideas. 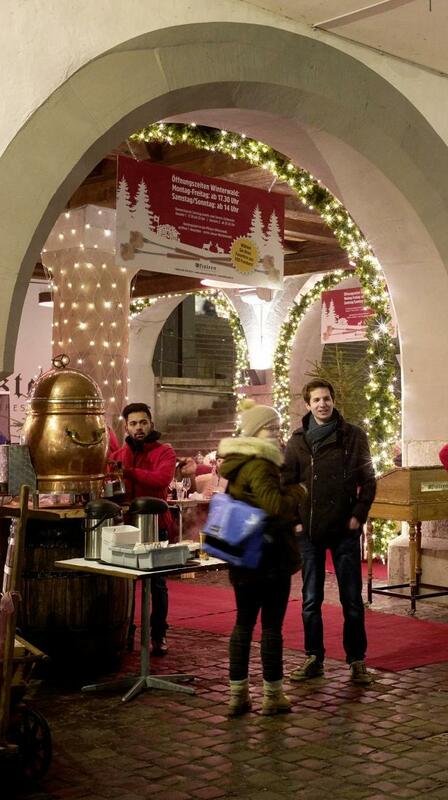 The scents of cinnamon and mulled wine accompany you on your tour through its alleys, and at the KKL Luzern you'll find a unique Christmas fairytale world complete with an ice rink offering views of the city, the lake and the mountains. 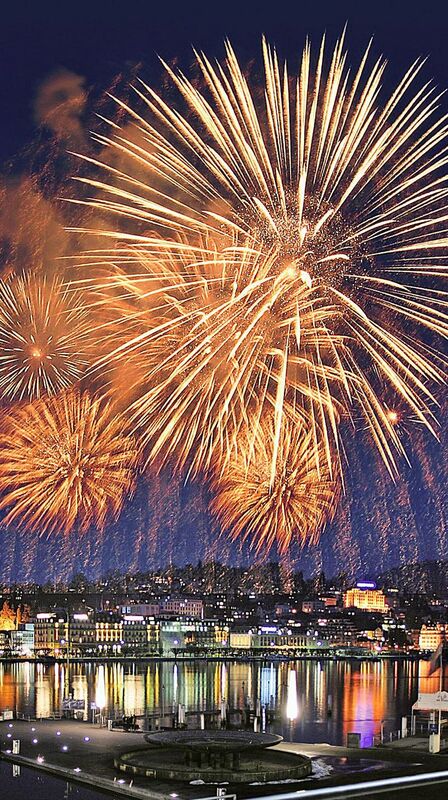 The leading hotels in Lucerne join forces with the Luzern Hotels association, the KKL Luzern, the city’s ALI Fund and Lucerne Tourism to organise the traditional spectacular New Year's firework display over Lucerne bay, which it starts at 8 p.m. The hotels Hotel Schweizerhof, Art Deco Hotel Montana and Hotel National serve special menus, also the KKL Lucerne​​​​​​​ has special offers and gala cruises are offered on the lake. 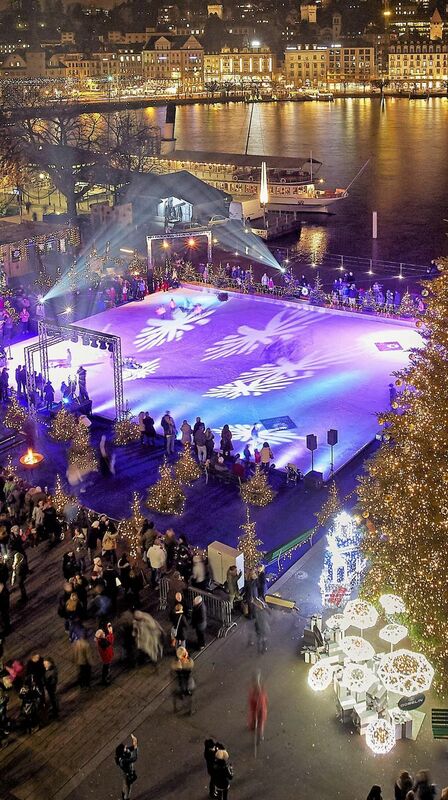 Skate your way through Advent: the ice rink on festively illuminated Europaplatz in front of the KKL Luzern is a great place to show off your skating prowess between 24 November and 2 January. Looking for something nice for your nearest and dearest? Or do you just want to soak in the Christmas atmosphere? 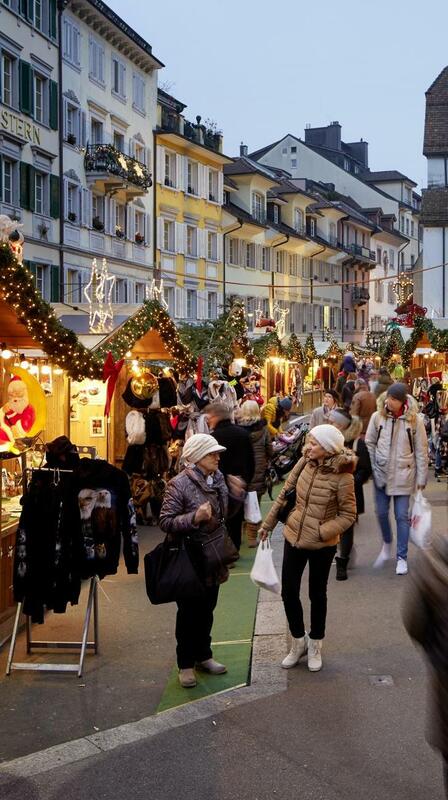 Visit Lucerne's markets this Advent. 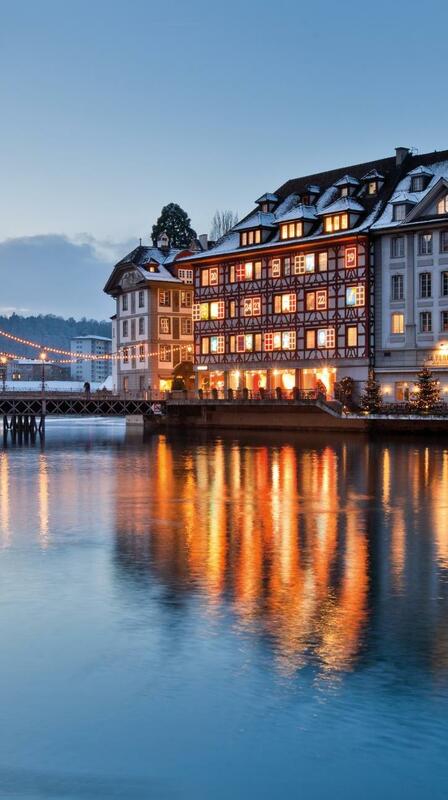 Join us on a stroll through Lucerne. The Pine Boughs and Bright Lights tour through the festively decorated city helps pass the time more quickly in the run-up to Christmas and sheds light on some of the local seasonal customs. Enter the Advent spirit by attending an event or concert or by enjoying a meal out. From 10 to 20 January 2019, Lucerne becomes a place of encounters immersed in light. Artistic light installations illuminate numerous building facades and squares, bringing warmth into the wintery city.